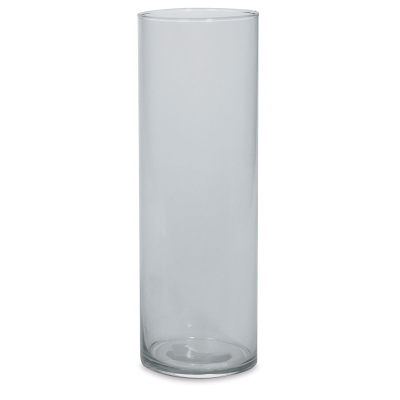 These clear glass vases are the perfect starting point for creating decorative centerpieces and floral arrangements. Fill them with flowers, candles, beads, and more to accent weddings, showers, and other special events. Decorate the outsides of the vases with paint, ribbons, and embellishments. 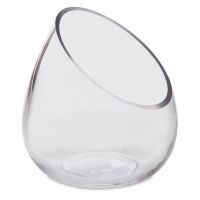 Short Slanted Vase — A slanted opening gives this short vase a unique look. It measures 6" × 6-1/2" overall, with a 4-1/2" × 5-1/2" opening. 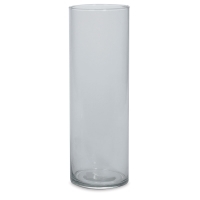 Cylinder Vase — This tall, slender vase has an elegant charm. It measures 12" × 4".